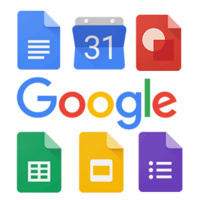 Documents and Calendar - Learn how to create basic documents in Google Docs. Create calendars, practice using calendar features and share events online. Slides - Create a dynamic presentation using slides, insert images, text, shapes or charts. Class prerequisite: You will need a Google email account before attending class.